Messier 100 is a spiral galaxy sometimes called Blow Dryer Galaxy. 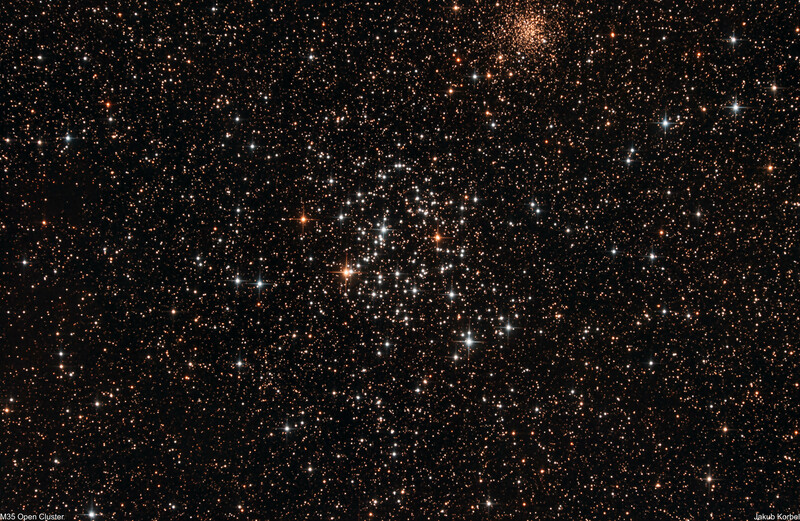 It is located in constellation Coma Berenices and it is approximately 55 million light-years far from Earth. The diameter is 107 000 light-years, which makes it comparable to our home galaxy Milky Way. 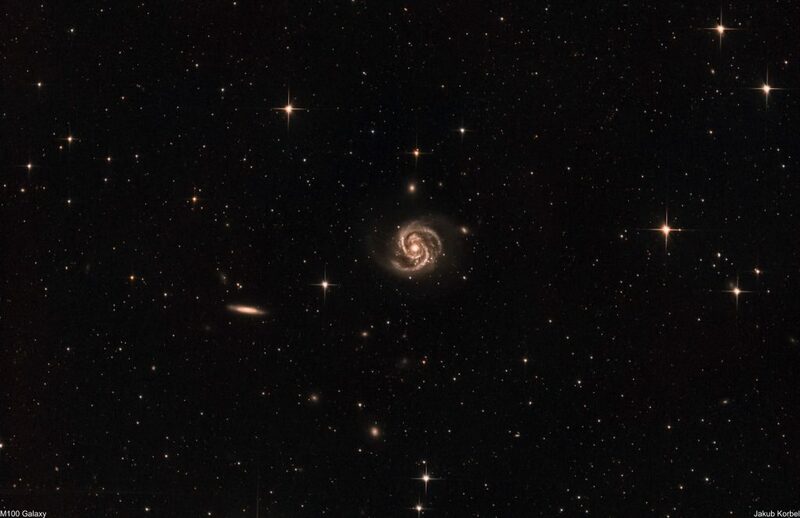 M100 is accompanied by small satellite galaxies NGC4323 and NGC4328. Bigger galaxy on the left is called NGC4312. Finally, nice weather arrived and what else to photograph during the spring than some galaxies in the Virgo Cluster. The picture is a stack of 40 images, 5 minutes exposure time each. The star shapes are not as they should be. I was testing new camera ZWO ASI071 MC Pro and I placed UV IR cut filter far from the sensor, in order to avoid reflections. The filter is not perfectly attached, so probably it’s tilted. I will have to improve that.